The first jet propulsed plane was invented by Henri Coanda. 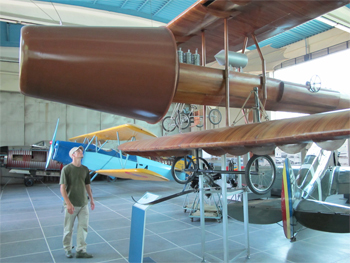 Exhibited in Paris in 1910 (see photo) seven years after the Wright brothers flight, the inventor flew the plane that same year. Excessive heat from extruded flames engulfed the plane and due to lack of funds no further development occurred. A model hangs in the Bucharest “Coanda” Airport. 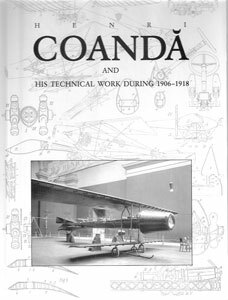 Full-scale model of Coanda jet located at the Military Museum, Bucharest, Romania. 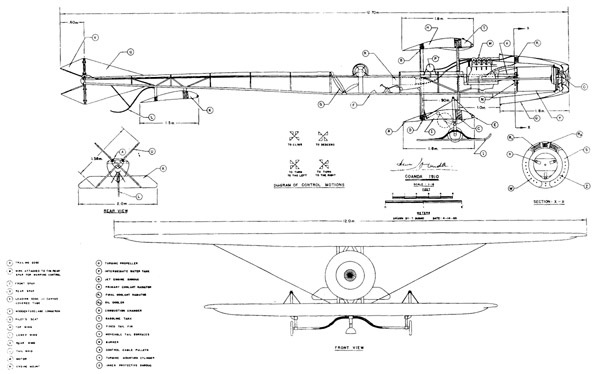 Above right: Coanda two-man ‘jet-ski’ using airplane motor innovation.